FHM is Australia’s biggest men’s magazine – they deal with everything pertinent to a man’s life, from gadgets to girls, current affairs to relationships, fashion to entertainment and everything in-between. They asked me to be in their magazine; gosh darn they wanted me with my clothes on. Read the interview here. Noreen Renier's engaging lecture and engrossing personal account of how she began her work on some of the many murder and missing persons cases she has been asked to investigate. 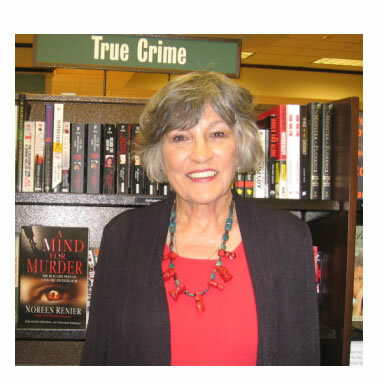 This fascinating first-person true crime lecture brings the audience directly into Noreen's world. This police psychic will intrigue and entertain you.